We have a wide range of products for you to choose from. Having a party, we can help. We have everything you need to throw a party that all your friends will remember. Looking for a hard to find item? Let us know. We have the ability to special order many different items. Please call us to see if we can help you! Put Your Favorite Wines On Sale! Choose any 6 of your favorite wines (750 ml.) 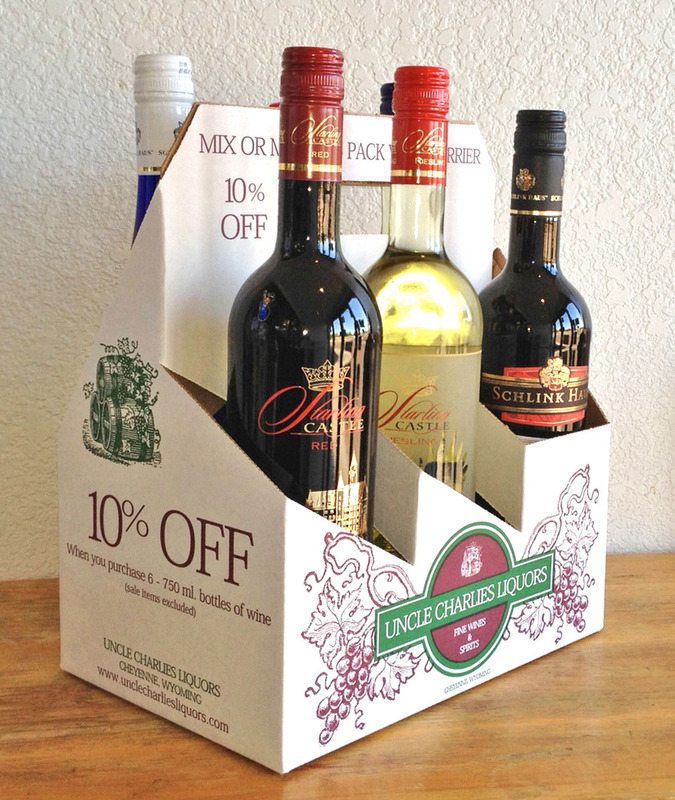 and receive 10% OFF, plus Uncle Charlies Original Wine Tote!